Our assembly song this week is a little different because it’s not a patriotic or military song. It’s the first song found in the green, Level Three Share The Music textbooks, called “I’d Like to Teach the World to Sing”. 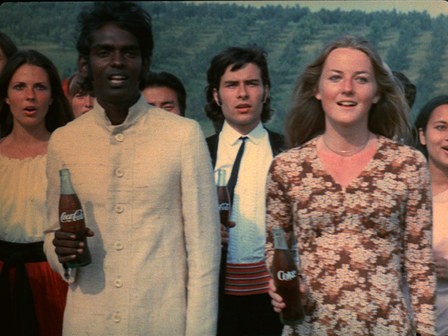 This is a pop song from 1971 that was originally used as a Coca-Cola commercial. But the lyrics were revised, and the song was recorded by a British pop group called The Seekers. 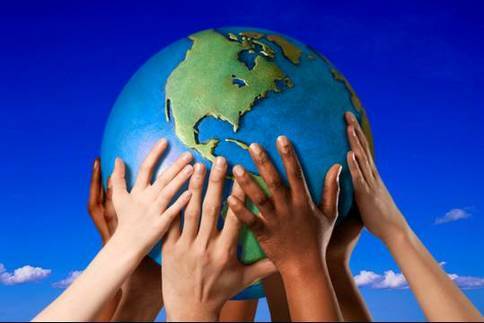 The message of the song is to inspire peace, hope and love throughout the universe. As you learn the song, feel free to try the motions you’ll see in the video. Click below to hear our song of the week. Listening Example: "My Guitar Gently Weeps"
This week we will be hearing music by Jake Shimabukuro. 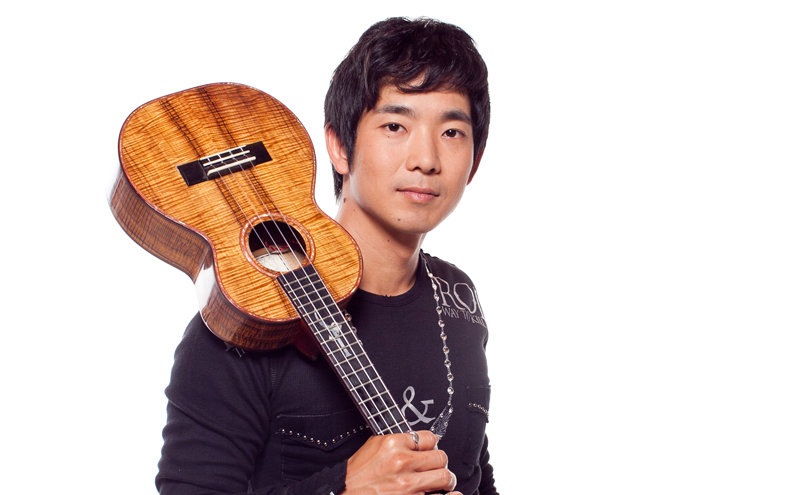 [shim-a-BOO-ku-ro] Jake Shimabukuro is an ukulele [ook-koo-le-le] virtuoso, a music arranger and composer. He is known for his fast and complex finger work. His music combines elements of jazz, blues, funk, rock, bluegrass, classical, folk, and flamenco. 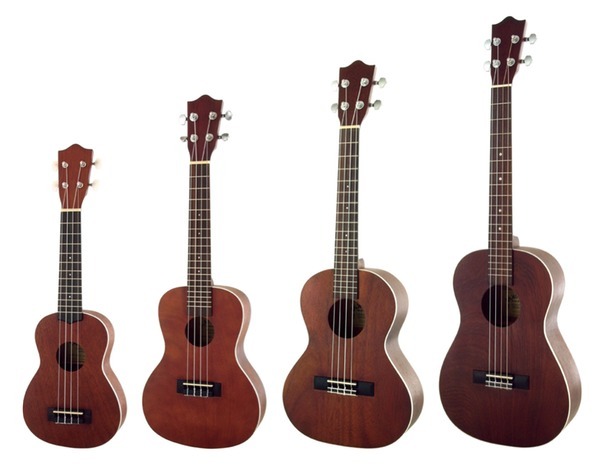 Ukuleles [ook-koo-le-les] are like small guitars, but they have only four strings. They actually are made in eight different sizes. 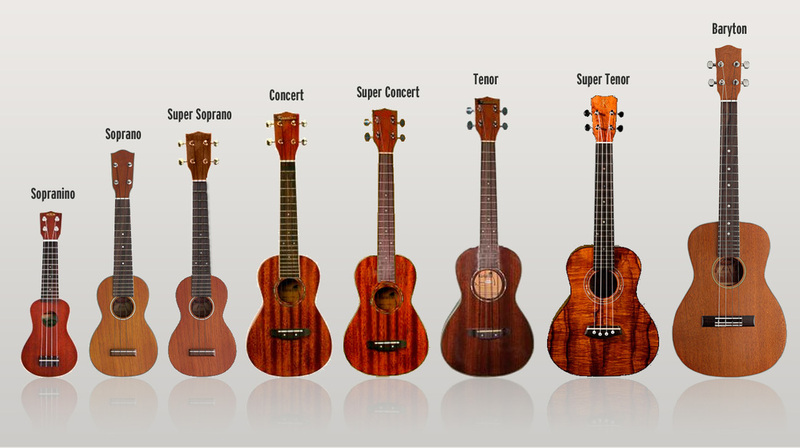 But only four sizes are used most of the time: the small soprano, the concert, the tenor, and the large baritone. Their overall length ranges from 21 inches to 30 inches. 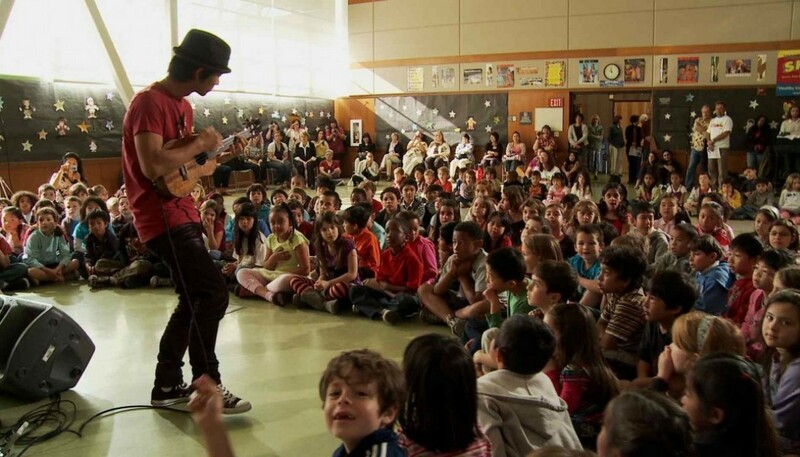 Shimabukuro has made arrangements of all kinds of popular music, from “Somewhere Over the Rainbow” from The Wizard of Oz, to “Bohemian Rhapsody” by the rock group Queen. Today we’re going to hear the song that first made him famous. Shimabukuro became known internationally in 2006, when one of his friends posted it on YouTube without his knowing it. It was an instant hit, causing his career to take off. It’s the beautiful song written by George Harrison of the Beatles, “My Guitar Gently Weeps”. The first two minutes introduce the gentle theme. The next two minutes show Jake really getting down on the uke, rock style. In the last two minutes, he shows his virtuoso skills as he returns to the main theme. 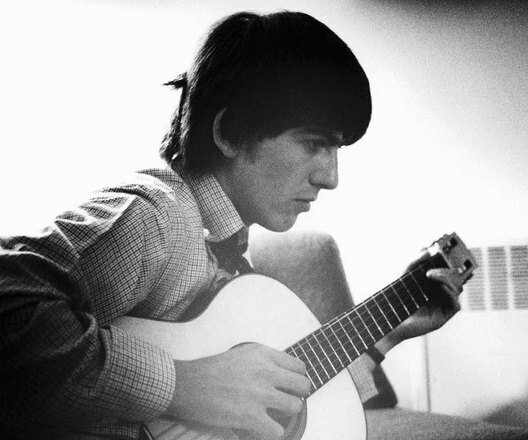 "While My Guitar Gently Weeps". Duration 6:00 minutes. Compare Shimabukuro's version to that sung by Beatle Paul McCartney and Eric Clapton. Duration 5:50 minutes. Jake plays "Bohemian Rhapsody" by Queen. Duration 10:15 minutes. 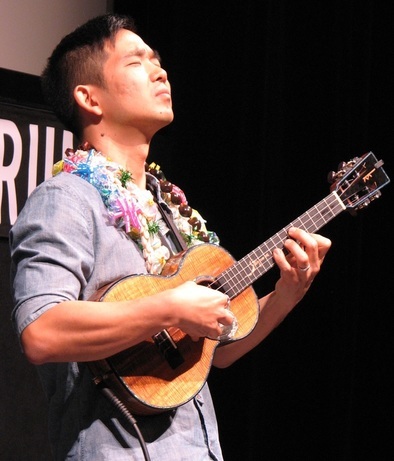 Jake Shimabukuro was born and raised in Honolulu, Hawaii. His life has always centered on the ukulele [OOK-u-le-le]. He started playing at the age of four, urged by his mother who also played. 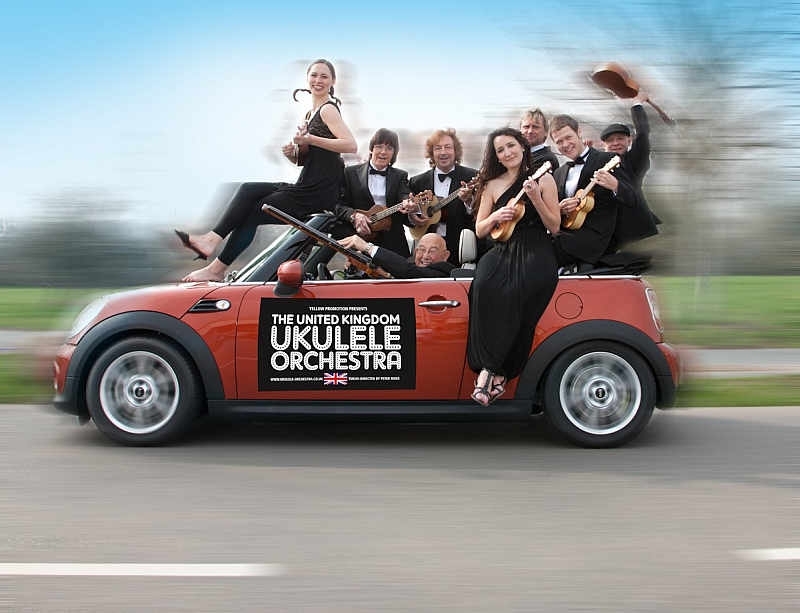 Jake’s playing surpasses people’s expectations of how ukulele music sounds. No slow strumming on the beach for him! 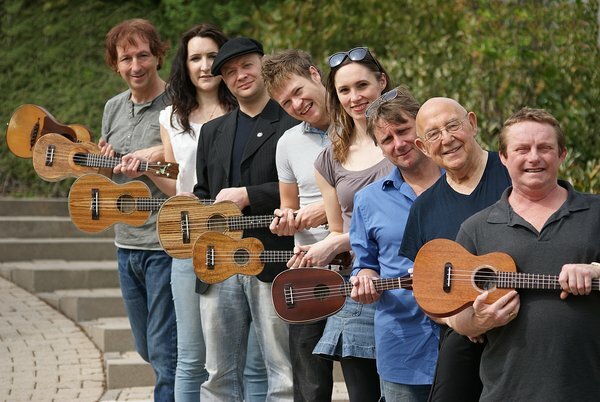 Jake is known for his energetic strumming on the ukulele. His performances contain thoughtful, sophisticated arrangements and spontaneous, improvised passages. He also makes use of electronic devices associated with electric guitars. Our featured video is called “Dragon” from the 2005 album of the same name. 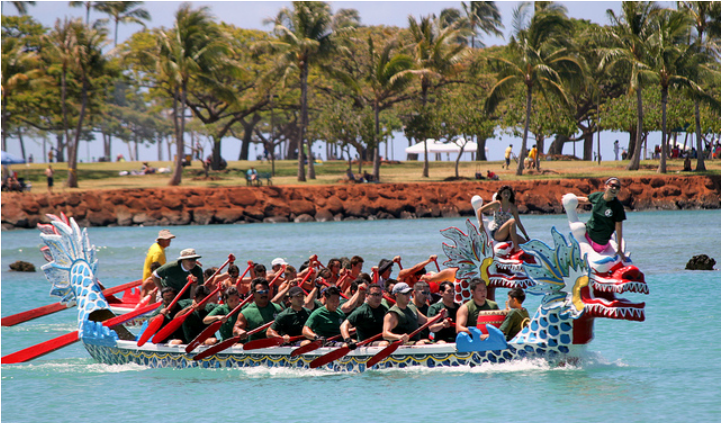 It won Shimabukuro two Hawaiian music awards, including Favorite Entertainer of the Year. Jake creates a variety of moods in this piece, from slow, thoughtful and shimmering to hard rock style. At the beginning, he uses a pedal device to create special effects. Pedal technology is used to create the sounds of an electric guitar. Duration 6:57 minutes. "Kawika" is a pop-rock style video. Duration 4:03 minutes. "Let's Dance" sounds like a Spanish flamenco guitar. Duration 3:24 minutes. Documentary on playing techniques. Duration 4:25 minutes. 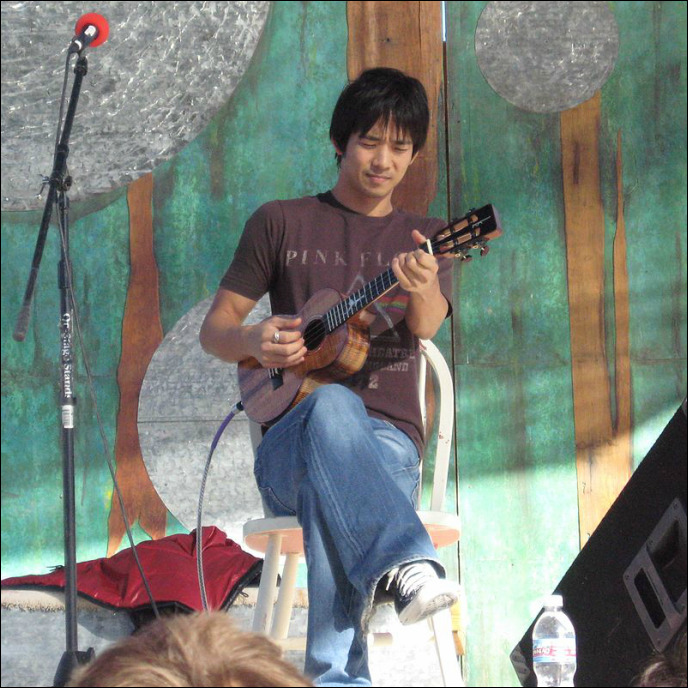 Listening Example: "Hula Girls Theme"
Jake Shimabukuro is a 5th generation Japanese-American. 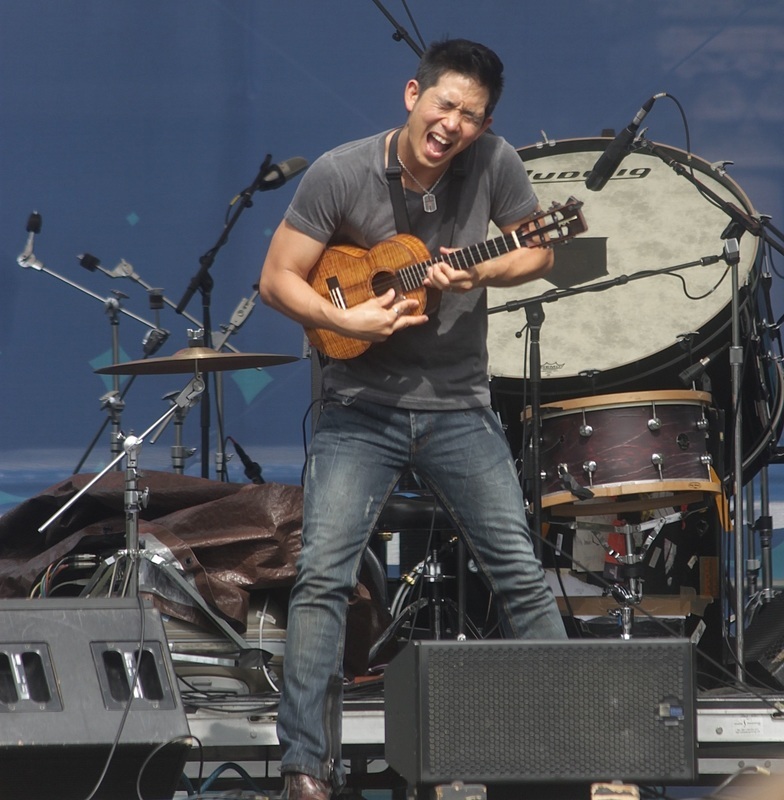 Once his mother began teaching him ukulele as a child, he practiced many hours a day. It takes a great amount of love, self-discipline and dedication to acquire skills on an instrument the way Jake has. many original compositions, including the entire soundtracks for two Japanese films. His music for Hula Girls won a Best Film Score award in 2007. Shimabukuro’s concert performances, work with legendary musicians, media appearances, and music productions have snowballed since then. In 2012, an award-winning documentary was released about his life, career and music. It is titled Jake Shimabukuro: Life on Four Strings. This documentary has aired repeatedly on PBS and been released on DVD. Our listening example is the theme music from Hula Girls, a film which featured hula dancing and a Hawaiian spa resort as its primary theme and setting. 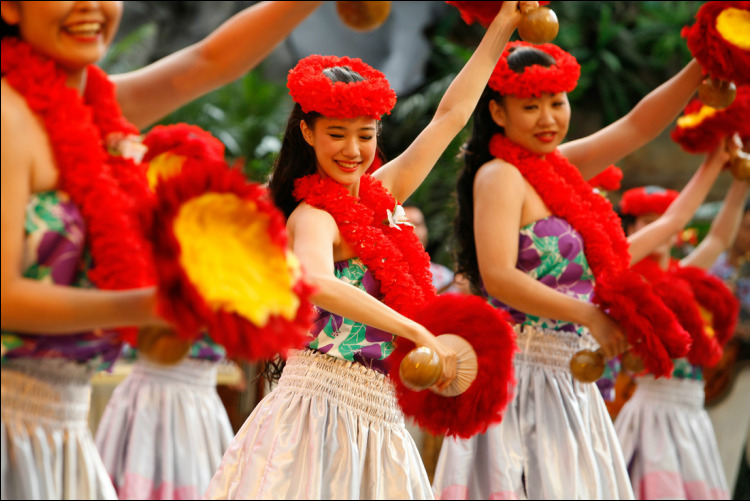 The music creates an image of gentle breezes, soft waves upon the sand, and the graceful movements of the hula dancers. 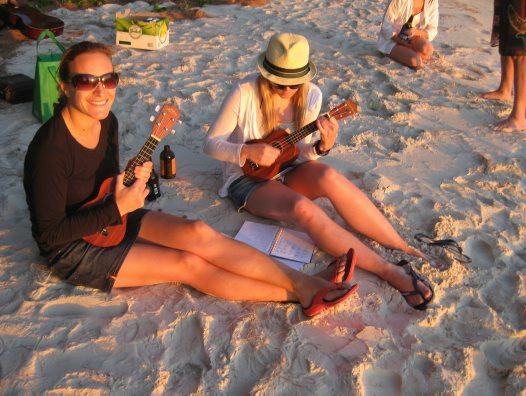 This theme from Hula Girls has beautiful Hawaiian scenery to accompany the music. Duration 3:48 minutes. Jake's brother, Bruce, is also an accomplished player. Here they play a duet. Live stage performance of "Hula Girls". Duration 4:16 minutes. 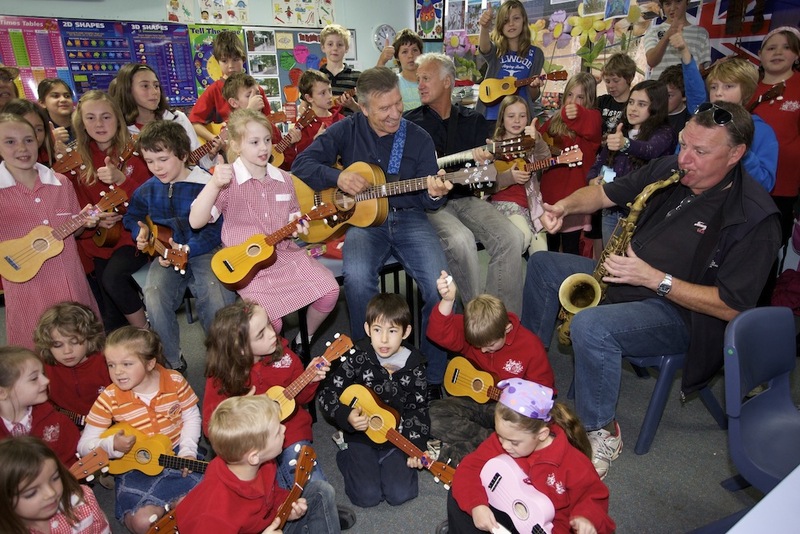 Listening Example: "The Good, the Bad and the Ugly"
Hawaii is not the only place ukuleles are popular. 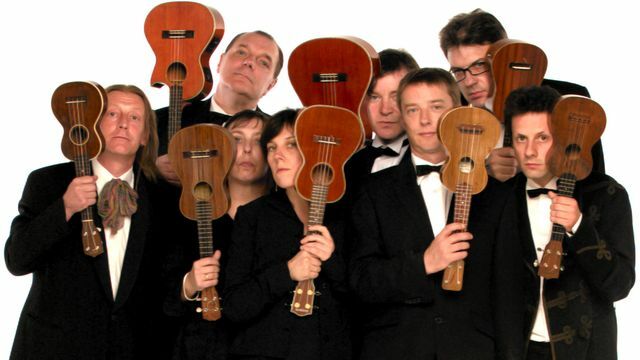 The United Kingdom has a professional ukulele ensemble called the United Kingdom Ukulele Orchestra. They perform classical, pop and rock arrangements on their instruments, including some special effects and lots of humor. 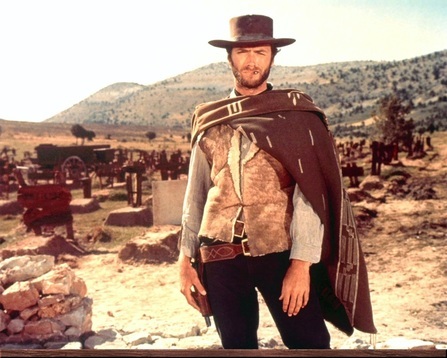 One of the most entertaining is the theme from an old Clint Eastwood western called The Good, the Bad and the Ugly. 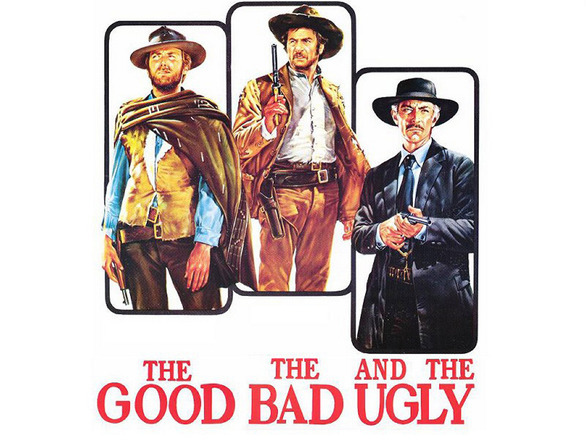 "The Good, the Bad, and the Ugly" is based on music from a Clint Eastwood film of the same name. Duration 5:06 minutes. "Born to Be Wild". Duration 3:10 minutes.